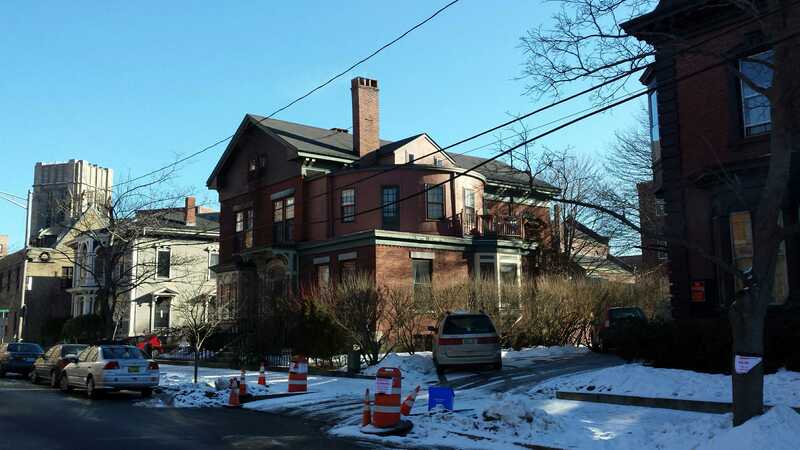 10 Deering Street. The foundation of a long time Portland business just recently demised and a visit from the ‘remuddlers’. After engaging in various financial endeavors in New England and Georgia, Rufus Deering found himself in Portland in 1852. Having enjoyed some success dealing lumber in Milan NH prior to coming to Portland, Deering determined to follow this profession in Portland. It would be a wise decision. The Portland Historic Resources Inventory does not give an attribution for the design of our subject. It could be Charles Alexander but it’s late for him. It could be Francis Fassett but it’s early for him. Regardless of designers, my money is on Fassett, it is a solid, unpretentious design. The house is a 2 bay wide by 2 stories brick block with a garrett. 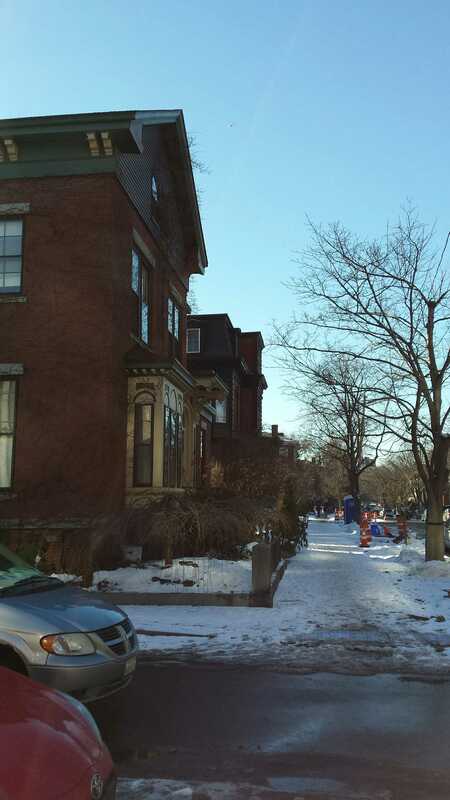 It stretches back along it’s deep, urban lot with a side entrance on Deering Place. The windows are quite plain. Simple unadorned incisions in the walls with rough faced granite sills and lintels. 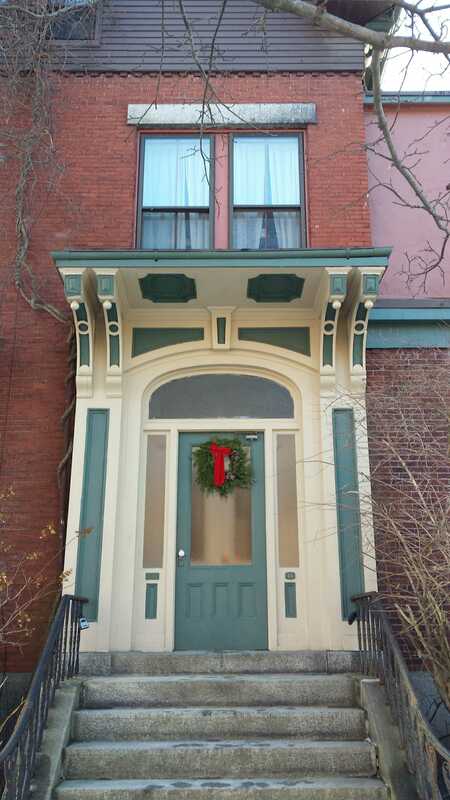 Adornment is limited to an almost microscopic dentil molding just below the flat architrave. Hefty brackets in pairs support a modestly projecting cornice. A note on the cornice. 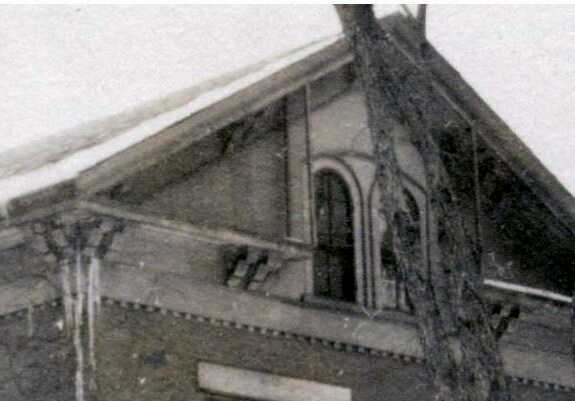 The 1924 photo shows it wrapping around the front corners and continuing across the facade then terminating at the window. As the detail photo shows, this required a large screen to be hung over each side of the cornice to keep the birds, primarily pigeons, from roosting. The result was ungainly at best. I also suspect that these cornice lines, given their north northeast exposure, might have collected allot of snow and moisture which would create major maintenance needs. At some point the eminently logical decision was made to terminate the cornice at the corners with simple boxed returns. It is a shame the brackets at the corner were removed as it reduces the symmetry. What little added detail beyond that listed above is reserved for the street facade. A wooden bay with rounded moldings above the windows and a very reserved entry are the sum total at eye level. The third story window is the primary attraction. The details of the bay and third story window are very much in keeping for work we would see from Fassett in the coming decades. Now for the 800 lb gorilla. 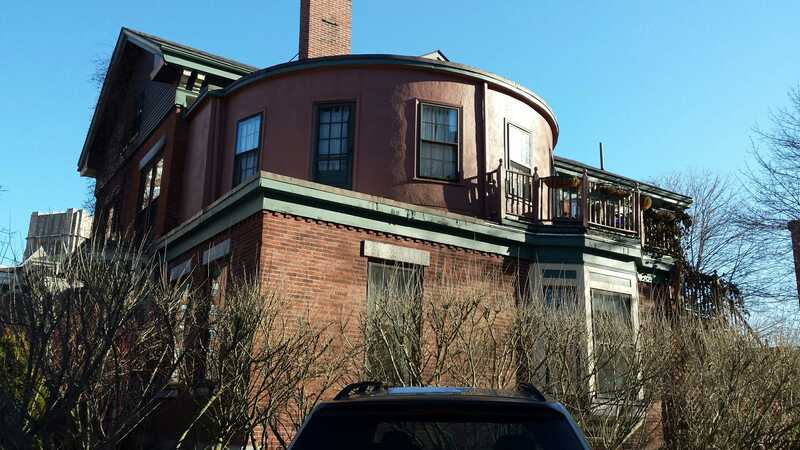 The round thing on the roof of the right single story extension is not original as can be seen in the tax photo. When it added is an open question. It’s certainly not in keeping with rest of the house. Definitely worthy of the term ‘remuddling’. Until the business was reorganized after the fire of 1866, Deering kept the books himself at home. Perhaps this was his home office. 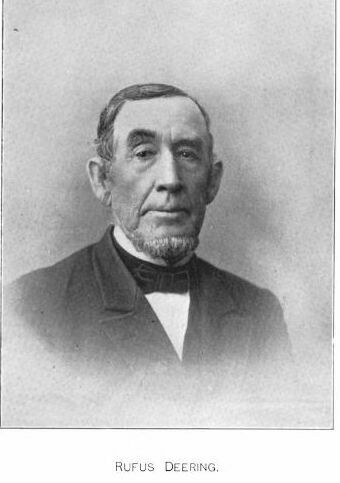 Deering purchased the lot from William Fessenden in July of 1863. At the time, the area was known as ‘Deering’s Pasture’. This is where some confusion may arise. Rufus Deering was born in Scarborough and, as best I can tell, was related to the Deerings of Saco. The Deering family of Portland trace their roots to Nathaniel. He came to here from Kittery in 1761. There may have been a connection in the 17th or early 18th centuries but nothing more recent. 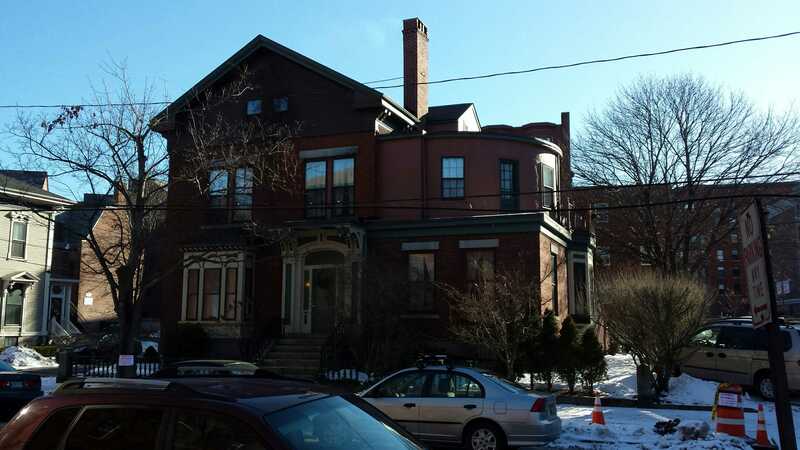 In 1885, for reasons unknown, Deering took out a mortgage for $4,000.00 from Maine General Hospital. By this time, Rufus Deering Lumber was a corporation that allowed its namesake to devote his time to benevolent endeavors. 1885 is also notable as the year Rufus’ first wife, Elizabeth died. In 1886 he remarried. Rufus Deering Lumber, the corporate entity created after the Great Fire, would continue on into the 21st century. After surviving countless cycles of boom and bust, wars & depression, it succumbed to the specter of rising property values in another building boom. The business closed in November of 2016 and the property was sold to a developer. Plans for 300 residential units have recently been unveiled. 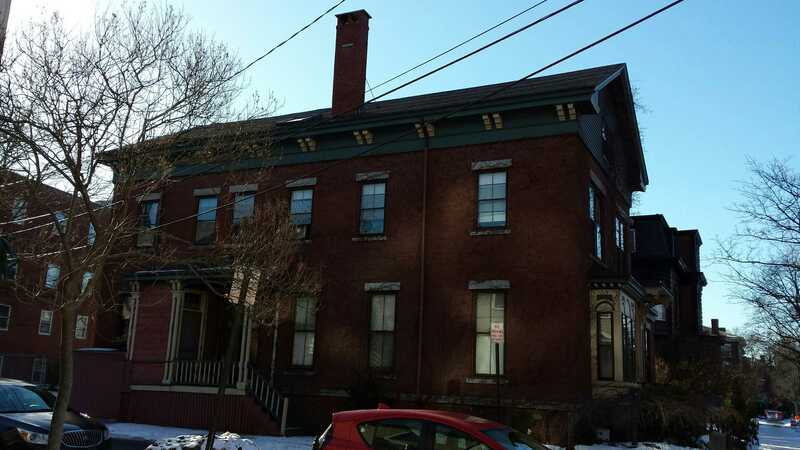 This entry was posted in Brick, Deering Street, History, Images, Italianate, Parkside, Remuddling and tagged Brick, History, images, Italianate, Maine, Portland, Remuddling, Rufus Deering Lumber on January 16, 2017 by alewifecove.